A new startup called ColonaryConcepts (yes, you read that correctly) seeks to “purge” the unpleasantness from colonoscopy prep. Dr. Corey Siegel and Dr. Joshua Korzenik (director of Brigham and Women’s Hospital Crohn’s and Colitis Center) have embarked on developing a new bar and beverage line to help people prep for colonoscopies. The goal, he says, is to provide a more palatable alternative to the salty, sludgy liquid patients must imbibe ahead of the procedure. According to Siegel, the company’s colonoscopy bars and drinks contain the same active ingredient as traditional preps. The company hopes to begin a phase 3 clinical trial at the end of this year, and be on the market by 2018. 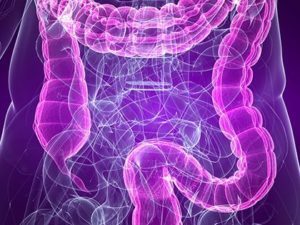 The latest trial, involving 65 patients, showed that the product successfully cleaned the colon for a colonoscopy in 90 percent of patients. ColonaryConcepts has raised $12.5 million to date from private investors and the company will likely have to raise another $15 million to $20 million to complete phase 3 clinical trials, he said.